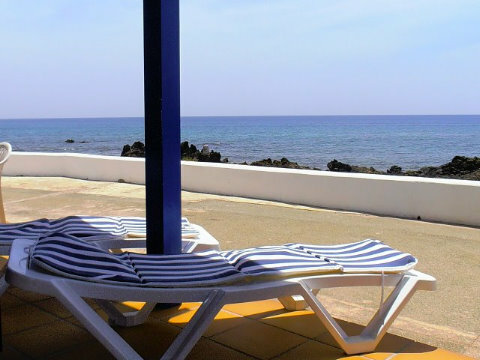 Casitas del Mar: Apartment complex, ground floor, with 2 bedrooms, approx. living space 55 m2, terrace, suitable for up to 4 persons. Specialties: Bungalows directly at the Ocean. Internet available. Special offers from 1st May to 10th July ! Price: from 70,00 eur/day.